In 10.3.3 Non-Gas Energy Alternatives in its Draft Resource Report 10: Alternatives (RR10), Sabal Trail correctly dismisses dirty and expensive coal, oil, and nuclear, and even hydro as major energy sources for flat Florida. However, what’s in there about wind and solar is just plain bogus. In 2010, renewable energy sources contributed 8,049 trillion British thermal units (“BTUs”) to the United States’ power supply (EIA, 2011c). This amount accounted for an 8 percent share of the total energy consumption in the United States (EIA, 2011c). 2010? Without even mentioning growth rates? And this isn’t a joke? Solar power in the U.S. has more than doubled since 2010, because it’s growing by about 65% per year, which is about 2.5 years for doubling. However, none of these renewable energy sources have been fully developed in the United States or in the Project area for large-scale application or to the point where they would be viable energy alternatives to the proposed Project (ACEEE, 2003). Conversely, smaller-scale, or individual, renewable energy sources may be combined to meet the energy needs for the proposed Project; however, the number of such individual projects would need to be very numerous, and land requirements will likely increase. Because the combination of these resources would require development of coordinated efforts, which would take time and would not provide the energy in time to meet the market needs, it is evident that these energy alternatives are not viable options when compared to natural gas for the Project. A company that wants to take years to gouge a hundred-foot-wide path for a 36-inch pipe for 500 miles says land and time requirements favor that route? Let’s just look at that, compared to solar and wind. Wind power currently is not an option for meeting the existing or projected power needs of the market as there is none in the vicinity of the Project. Wind energy may be available in the vicinity of the Project in the future, but is not available at the Project’s proposed delivery points and cannot be precisely scheduled based on demand. The proposed Project, upon completion, would provide 1,100,000 Dth/d of additional energy, which, when converted to megawatt hours (“MWh”) is approximately 322,580 MWh. To compare the energy provided by the proposed Project to that of other renewable energy sources, such as wind or solar, a unit of power must be calculated. The equivalent of 322,580 MWh is 26,882 MW of power, assuming 12 hours of operation. Based on the fact that individual wind turbine capacity can range from 1.8 MW to 5.0 MW (AWEA, 2012) a total of 8,960 turbines (using an estimated 3.0 MW/turbine) would be needed to produce the same amount of energy as the proposed Project. Therefore, it is projected that wind energy would not provide the reliable quantity of energy that could be provided by natural gas due to the vast number of wind turbines needed. Wind turbines would also require permanent access roads and electric transmission facilities to be constructed which will likely cause significant impacts to the visual resources and aesthetics of the region. Therefore, wind power will not be a viable option when compared to natural gas and does not meet the Project’s purpose and need. Wind power is growing about 22% a year, while methane is growing by about 1.8% a year, according to FERC’s own numbers. Maybe somebody was exposed to too much gas when they wrote that report. 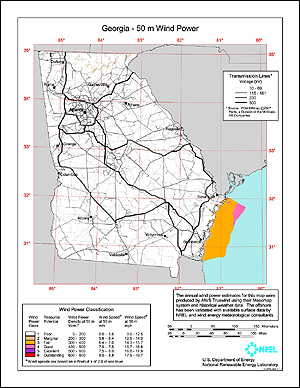 Georgia has “about 14.5 gigawatts of feasibly developed offshore wind energy potential–enough power to provide one-third of Georgia’s current electrical needs,” according to Geo-Marine, Inc. This wind power is mostly offshore, in the Georgia Bight, which continues down off the Atlantic coast of Florida. And technology exists for wind turbines in a hurricane zone, developed by TEPCO in Japan. If Florida doesn’t want to develop its own wind resources, how about Florida could pay to develop wind offshore of Georgia? 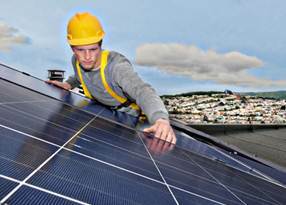 Solar power is a poor alternative to natural gas in the Project region due to climactic conditions, developmental costs, reliability issues, the need for large expanses of land and the uncertainty of solar power availability at times of peak demand. Does Spectra really want to talk about reliability issues? 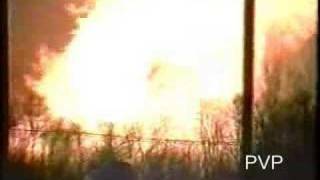 Spectra, the company behind the $15 million EPA fine for PCB spills, the Durham Woods Edison, NJ fire that evacuated thousands and made hundreds homeless, the 1985 Kentucky explosion that killed five and incinerated 500×700 feet, and on and on? Some of the largest completed solar photovoltaic power plants, also called solar parks or fields, have area efficiency of about 4.5 to 13.5 acres per MW (Solar by the Watt, 2009). Therefore, we estimate that the land requirements for a solar project that could produce 26,882 MW of power would range between 1,991 and 5,974 acres of permanent disturbance. OK, stop right there. 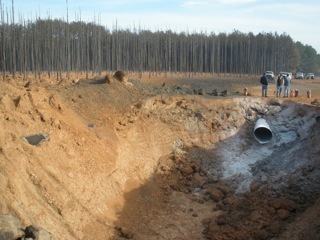 A 500-mile pipeline right of way, even only 50 feet wide, is about 3,030 acres of permanent disturbance. (500 miles * 5280 feet per mile * 50 feet / 43560 sqft/acre = 3,030 acres.) So Spectra’s Sabal Trail pipeline could well take more land than similar solar power production, according to Spectra’s own calculations, as even Spectra admits later in this same document. 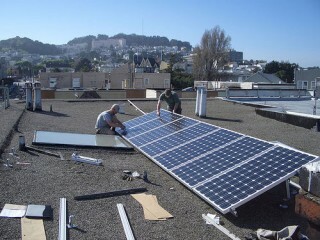 And most solar power goes on rooftops or in areas that are already cleared for other purposes. As a result of these extensive land requirements, solar power is not being developed at a pace that would provide for the projected energy needs of the market. Somebody seriously wrote that? Solar farms take months to deploy, not years. For example, the Sandy Hill Solar Farm in Elm City, NC took nine months from getting county land use ordinances fixed to turning on the power. A gas pipeline takes more than a year just to permit, much less to build. And what are these alleged energy needs of the market, projected by companies that would profit from supplying that alleged need? That’s another subject to which we will return later. The proposed pipeline may cause initial earth disturbance greater than that required for the development of a similar MW of solar power; however, unlike solar parks or fields, the majority of the area will be restored and allowed to revert to original conditions. Tell that to all the people who can’t subdivide or build for their relatives on pipeline-infested property. Tell that to all the tree farmers whose trees get cut down and they can’t replant. Tell that to the residents of Alabama where Transco’s pipeline blew up in 2011, flaming a hundred feet up, heard more than 30 miles away, left a crater more than 50 feet wide, destroyed 65 acres of trees, fried five acres of soil into pottery, and launched a 43-foot pipe section as a missile that landed 190 feet away. 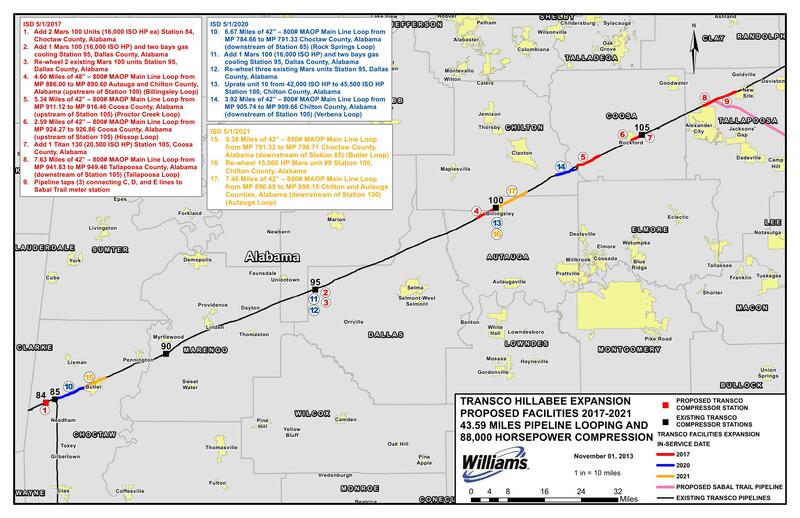 Williams Transco’s Alabama pipeline that’s the same one Spectra wants to connect its Sabal Trail pipeline to; see FERC’s PF14-6 Hillabee Expansion Project. In addition, the permanent ROW will be maintained in an herbaceous condition (rather than an impervious or shaded surface that would be found in a solar park or field) that can provide habitat for flora and fauna in the long term. Sandy Hill Solar Farm in Elm City, NC employs goats to graze around the solar panels. My solar panels are on my farm workshop roof, like many others, where no flora or fauna were displaced to put them. And remember, “herbaceous condition” doesn’t include trees, in a region where forestry is the #1 industry. While some solar development is underway in Florida, the land requirements needed by the solar power to generate the amount of energy equivalent to that to satisfy the purpose and need of the proposed Project would prohibit this alternative. As such, due to the relative ground impacts required for solar power compared to natural gas, solar power is not a viable option. 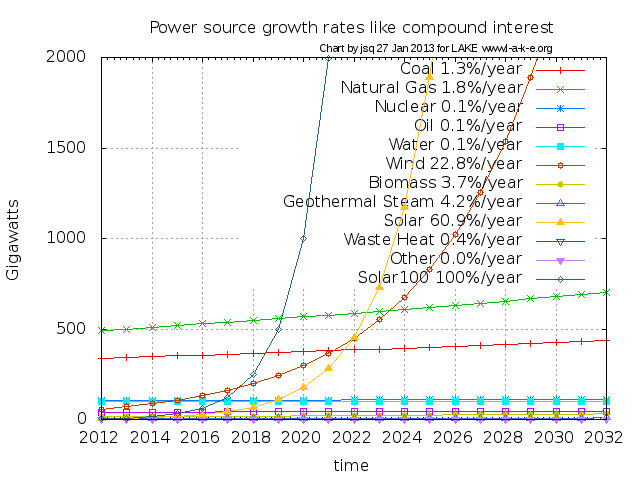 So Spectra’s whole argument against solar boils down to “relative ground impacts”. When their pipeline would gouge about 3,000 acres and solar doesn’t take much acreage that isn’t already cleared or already on a roof. You lose the argument, Sabal Trail. The fossil fuel boys and girls can keep whistling in the smoky dark. Meanwhile, solar will win like the Internet did. 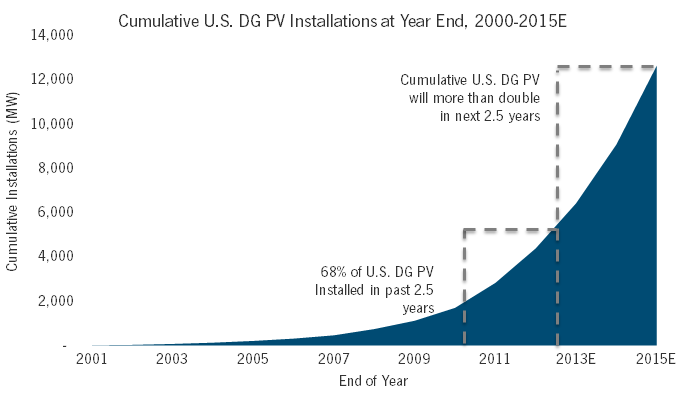 FERC’s own former chair Jon Wellinghoff called it: about ten years for solar to overtake everything. The sun is rising on Florida, Georgia, and Alabama. Will we let FERC let profiteering utilities (FPL and Duke Energy) and pipeline companies (Spectra and Williams) take our lands for their short-term greed? 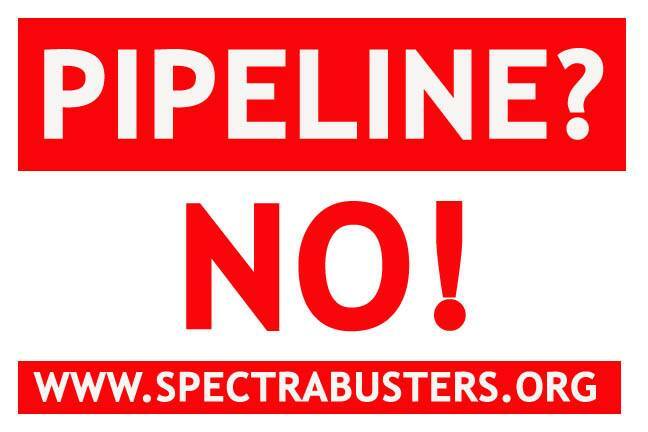 Or will we stop this pipeline! Once again, if this Sabal Trail RR10 solar and wind disinformation is what FERC is going on to justify eminent domain for methane for Florida, there is no case, and the Sabal Trail pipeline should be denied by FERC.